UIS Events: Bullying Not @ UIS program kicks off with screening of "Not In Our Town: Light in the Darkness"
Bullying Not @ UIS program kicks off with screening of "Not In Our Town: Light in the Darkness"
WHAT: The University of Illinois Springfield Diversity Center will kick off a new Bullying Not @ UIS program with a screening of “Not In Our Town: Light in the Darkness”. 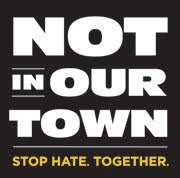 The film documents the story of a town standing together to take action after a hate crime killing devastates their community. WHEN: Wednesday, September 14, 2011 from 7 to 9 p.m. DETAILS: The documentary addresses the growing problem of anti-immigrant violence in communities nationwide. Filmed over a two-year period, the documentary follows a New York mayor, a murder victim’s brother, diverse community leaders, residents and students as they openly address the underlying causes of the violence, work to heal divisions and initiate ongoing action to ensure everyone in their village will be safe and respected. UIS Chancellor Susan J. Koch will deliver opening remarks. A panel discussion will follow the screening featuring James Korte, UIS dean of students; Deanie Brown, UIS associate chancellor for Access and Equal Opportunity; Dr. Juanita Ortiz, UIS assistant professor of criminal justice; and Sandy Robinson, director of community relations for the City of Springfield. Representatives from the UIS Organization of Latin American Students and UIS Police Department will also take part. The forum will be moderated by Dr. Tim Barnett, UIS vice chancellor for student affairs. The Bullying Not @ UIS program is designed to educate students, faculty, and staff to report bullying in all its forms: harassment, discrimination, singling out, hounding, and hazing. The Diversity Center will provide monthly discussions on bullying as part of the campaign. “Light in the Darkness” is the third PBS special from the “Not In Our Town” project and will debut Wed., Sept. 21 at 9 p.m. CT on PBS (check local listings). The film is narrated by Alfre Woodard. For more information, please contact Dr. Clarice Ford or Jeannie Capranica at the UIS Diversity Center at 217/206-6584.